The Easter Island is a small piece of land in the Pacific Ocean, about 64 square miles, belonging to Chile. It is very isolated as the nearest inhabited land is the Pitcairn Island which is 2,075 kilometers away. It is a place of huge historic value, as it holds the remains of a lost civilization. It is believed that its first inhabitants arrived around 800 A.D. They came by sea, on wooden canoes led by their king, Hoto-Matua. The name of the island comes from the first European visitor, Jacob Roggeveen (a Dutch explorer), who arrived on Easter Sunday. After the Peruvian slave raids of 1860, the island got the Polynesian name of Rapa Nui, but the Norwegian ethnographer Thor Heyerdahl argues that Rapa was actually the original name of the island. The most interesting fact about the island is the existence of the moai stone figures that you can find scattered all over it. These massive sculptures are not only impressing because of their huge number (nearly 900 statues), but also because of their weight (14 tons) and height (4 meters). It must have been really hard for the natives to move them around the island, but the real mystery is their purpose. It is commonly believed that the early population of the Easter Island built those stone giants in the memory of important rulers or figures, but it is impossible to know for sure as no written or oral evidence has ever been found. Against the all the odds, the Rapa Nui developed a flourishing civilization, which reached its peak in the 16th century when the statues were built. 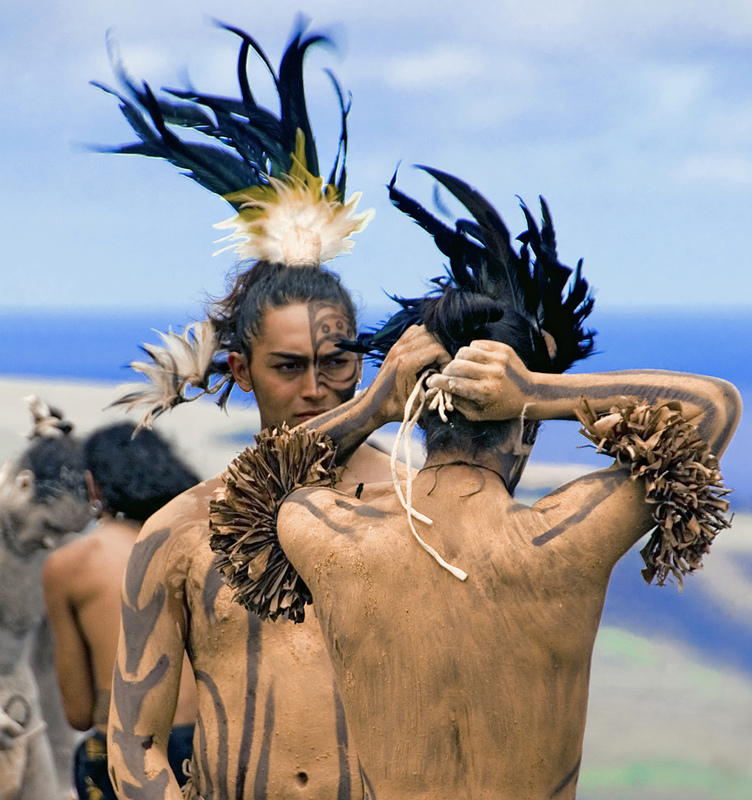 The fall of the Rapa Nui is thought to have been due to two main reasons. The first one is the destruction of the ecosystem. Large forest areas were cut down for various purposes, exposing the volcanic soils of the island, making them vulnerable to erosion. The second reason is that the two tribes inhabiting the land, the long ears and the short ears, rebelled against one another and almost wiped each other out. When the European conquest of Easter Island eventually happened, its population was already small and the ecosystem wrecked. The Easter Island is now famous for being a big touristic attraction. The island is visited mainly for its historical and cultural values, as the stone figures are still in a good state. Additionally the tourists can also see the Rano Raraku quarry from which the stones used to build the moai were extracted. 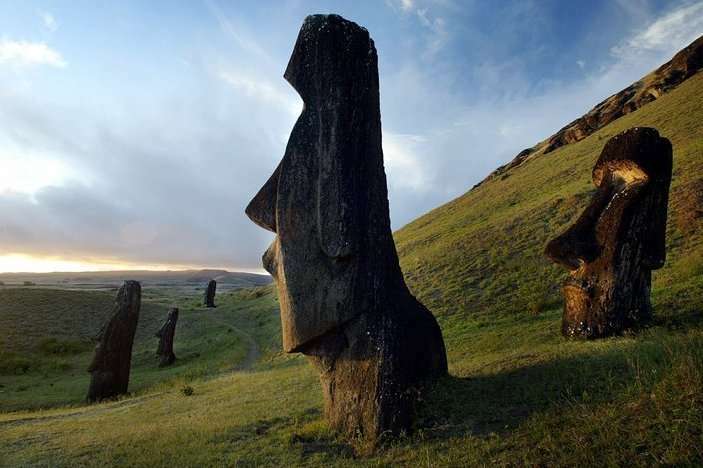 There are more than 400 statues still in the quarry, found in various states of completion allowing the visitors to observe the methods used by the natives to build the moai. Sadly, the volcanic rock is subject to erosion, as the rainy weather turns these beautiful statues back into plain rock. Huge efforts are made to maintain the state of the moai, as the island has been declared a World Heritage Site. Beside the cultural reasons, the Easter Island is also a good spot for diving and surfing, as well as relaxing on the few but beautiful sandy beaches.